Somewhere along the line, I totally missed the changing of the guards. 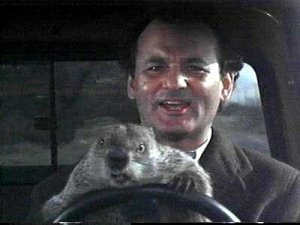 I only realized it was February when I saw a tweet about Groundhog Day, which I let pass by without my yearly viewing of the movie of the same name. Forgive me Mr. Murray. I blame all of it on the snow days. Although, if I am blaming the snow days, I guess I also have to thank them for giving me enough time off to complete, edit, and submit a new story. It’s not a good sign that every time I manage to work up the desire to write a new blog post, I lose all interest about a third of the way in.